A reader asked me a good question. Given the realities of today’s market environment, where else can we invest? How about investing in base metals such as nickel? Higher asset prices refers to stocks, bonds, commercial and residential real estate, (commodities–industrial and/or precious metals?) Anything else? I was considering buying nickel in anticipation of electrical vehicle demand. Would you consider this an OK idea at this time with what you anticipate coming? The assets with which I concentrate my time and resources are those that generate income, especially passive income. 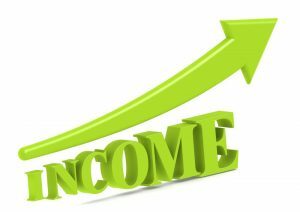 This passive income tends to grow over time and can provide a cushion to the vagaries of the market place. Investments in bonds, stocks, residential and commercial real estate, and active businesses, qualify for such investments. While bonds have recently been spinning off lower interest payments, they have been rising in price as market yields have fallen. While there are other types of assets (e.g. gold, silver, nickel, bitcoin, artwork), over the long-term, I generally favor the ones that spin off income. There is an another important reason why I choose income-producing assets; I can employ mathematical analysis to determine what I think is fair value. In stocks there are the P/E ratio and dividend yield. In real estate we can use the capitalization rate and internal rate of return. In businesses, we can use the discounted cash flow. In bitcoin and gold, determining fair value is a much more subjective process. There is a place for gold in everyone’s total portfolio, because it is a hedge against bankruptcy and lawsuit, and it is discreet. With this said, I generally do not recommend the gold miners as it is a tough business and their dividend yields are low. However, you are asking me about industrial metals such as nickel. Here are some long-term price charts for the basic industrial metals. Clearly, these charts do not point to anything that looks appealing. Nickel looks like the worst performer out of all of them. So, let’s take a look at the largest nickel miner out there; Norilsk Nickel (NILSY). Norilsk Nickel is a Russian-based nickel miner. If I were interested in nickel this stock would be an absolute must have nickel producer and a clear sector leader (by far the largest reserves, largest production, lowest costs). It still is trading at a very fair valuation, with a very nice 9% dividend yield. Upside would not be as spectacular as a junior, and downside is quite protected. Eramet (ERMAY) is another one. They are spinning off a dividend yield of at least 4%. However, I am somewhat concerned with its balance sheet issues and prior price performance. While I do not necessarily recommend these particular nickel miners, I think you see what I mean. If the economy continues to stagnate and falter, I do not envision an environment that will be wildly bullish for the base metals in general. However, efficient miners with good prospects, profitable property portfolios, and good dividends, should always be considered.